Each year Clarins release a sophisticated and fresh make up collection for spring, this year is no different. The Instant Glow Spring Make-Up Collection for 2016 is filled with an array of delicate silver hues and soft pink tones. In fact one of the lip products from this collection has quickly become one of my favourites so far this year, although I am pretty biased as I simply adore the product range in general. 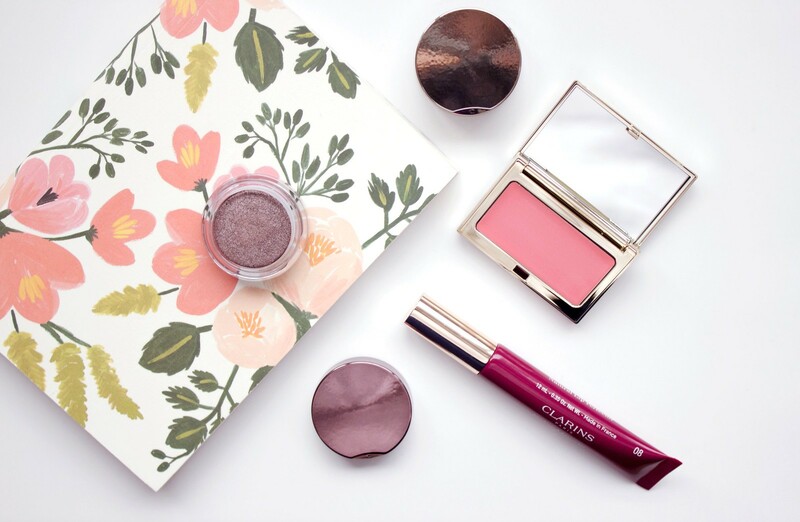 If you’re on the lookout for a few new pieces this spring to help freshen up your make up collection then it is well worth looking into what Clarins have to offer. 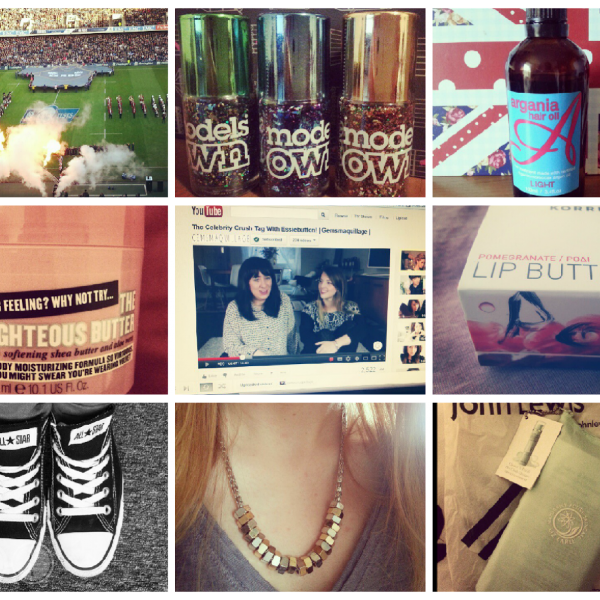 Over the last few weeks I have being trying out just a few of the items from the new spring launch and therefore, I am now able to share with you my thoughts on them. The collection aside from what I have to share with you today also has a gorgeous looking eye shadow palette with an array of neutral tones, as well as this there is a new mascara which helps to increase the length of your lashes due to the carnauba wax contained within it. Blushes are one of my favourite beauty products as they often can do so much for our complexion, often transforming a spark of life to our cheeks when perhaps we are not necessarily feeling too great. A pop of colour (I try to avoid that phrase where I can) surely can work wonders, which is just what the Multi-Blush* in rose offers. This soft cream to powder formula is perfect for this time of year as we slowly transition into spring. I really do like the soft effect cream formulas can have on our cheeks as opposed to a typical powder, plus they are super easy to use and require very little effort. Rose to me is not a typical pink shade, as despite the name it does have quite a peachy coral tone to it. The collection consists of four Iridescent Eye Shadow shades, of which I have here Silver Plum* and Silver Green*. Generally I am quite a fan of plum toned eye shadows which is why I opted for the former, however I thought it would be interesting to see how the much cooler green toned shade would work for me. 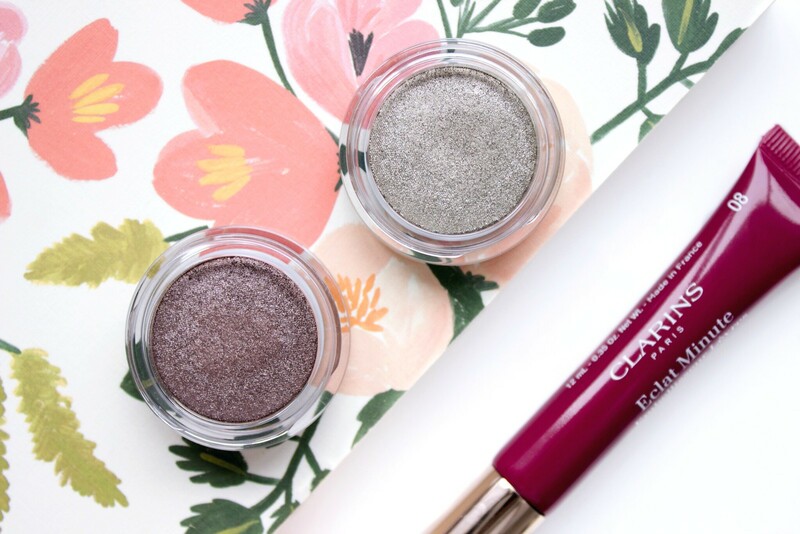 These eye shadows from Clarins are, in my opinion rather underrated as they are both beautifully pigmented and easy to blend. In fact I do think that these cream to powder shades blend even easier than those previously, although perhaps this is influenced by the shimmer within the eye shadow. In order to round up this post I wanted to end with my favourite product from the range, which, if you are a long time reader of my blog it will come as to no surprise that the Instant Light Natural Lip Perfector takes this spot. The new collection has seen the line expanded by two new shades, those being Toffee Pink Shimmer and Plum Shimmer. The shade I have here is Plum Shimmer*, which, despite the packaging being quite dark I must say that the product itself is not as dark as you may initially expect. For me this is a good thing because I do tend to go for sheer shades on a daily basis as they are for me easier to wear. Like all of the lip perfectors the formula is fantastic, the wear time isn’t bad either, especially considering that this is more of a gloss as opposed to a lipstick. Overall my experience of the Clarins Spring Collection has been really quite lovely, I am extremely tempted to pick up the other shade within the lip perfector line as these truly are one of my go to products on a daily basis.